I would like to say a huge thank you to all of the contributing vendors for making this styled wedding shoot such a success. Without you all, none of this would have been possible. I've heard many "horror" stories about other photographers first styled shoots but this was not one of those. I had an amazing team of vendors for my first time out. 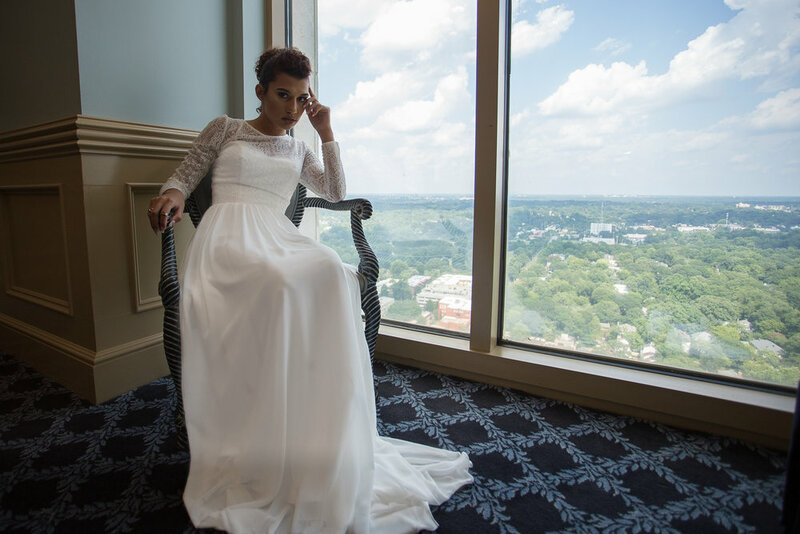 I can't wait for my next styled shoot! 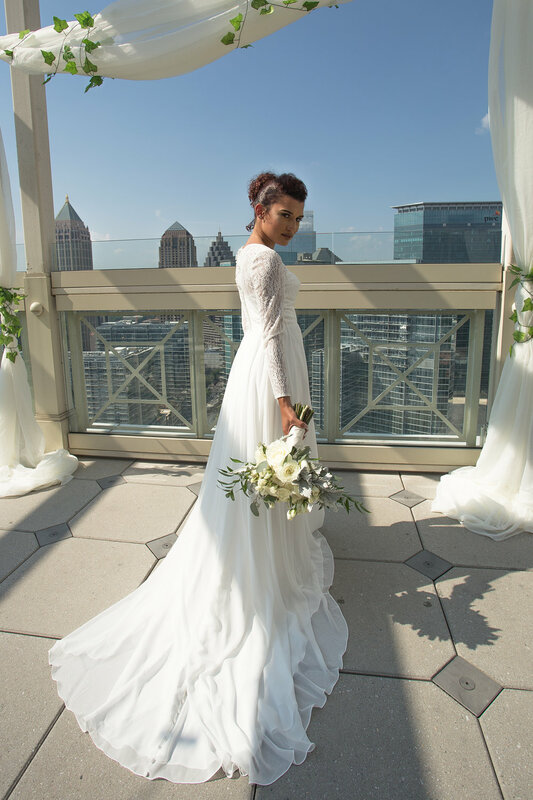 The urban botanical wedding was inspired by the city chic that loves greenery. The Peachtree Club offers a unique backdrop. The natural and earthy tones of gold and green popped against the city skyline while the white and black gave it that classic and urban feel. The goal was to bring an earthy feel to the urban city. Check out these favorites from the shoot. The view the rest of the gallery, click here.